The Minister said he was ‘disappointed and stunned’ by the OCI’s decision. MINISTER FOR SPORT Shane Ross says he’s not giving up hope after the Olympic Council of Ireland (OCI) refused to accept independent members onto its inquiry into the alleged unauthorised sale of tickets in Rio 2016. “I don’t want to say very much about what happened at that meeting because I don’t want any relationships to deteriorate in any way at all. I feel disappointed and stunned. We’re asking for something very very reasonable but I haven’t given up and I haven’t made a decision yet on what’s going to be done – whether we hold our own internal inquiry, which hasn’t of course been ruled out, whether we go to Oireachtas committees or whether we can still reach some sort of settlement which enables us to have an input in the inquiry. Fine Gael TD Noel Rock has come out saying that Minister Ross needs to “get tough” with the Olympic Council of Ireland and its President Pat Hickey. “The fact that Pat Hickey and the OCI are refusing to allow any independent oversight of their own investigation is cause for concern. Why are they so opposed to oversight and transparency? What have they got to hide? We need answers, the OCI’s stonewalling is both unhelpful and inappropriate. I believe Pat Hickey needs to sit down with Minister Ross and I believe Minister Ross needs to drive home both the urgency of the situation and the gravity of the situation. Ultimately, it’s time that Shane Ross got tough with the Olympic Council of Ireland. The Minister is now due to meet Donovan Ferreti, the director of ticketing at the Rio 2016 Games. In the latest development around the ticketing saga, police are seeking the arrest of four more men as part of the investigation into the alleged touting of Olympics tickets. In a press conference yesterday Rio police confirmed they have released arrest warrants for four executives from sports hospitality company THG Sports as part of the investigation into the alleged touting of Olympics tickets. The four men have been named by police as Irishman David Patrick Gilmore, Dutchman Maarten Van Os and Marcus Evans and Martin Studd from the UK. However, THG said the allegations are ”entirely without foundation”. Email “Shane Ross not giving up hope on reaching deal with Olympic Council of Ireland ”. 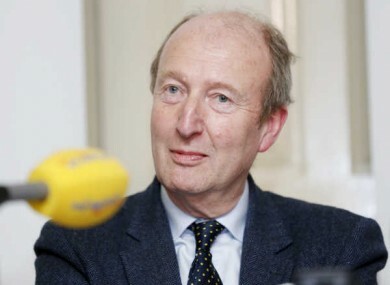 Feedback on “Shane Ross not giving up hope on reaching deal with Olympic Council of Ireland ”.